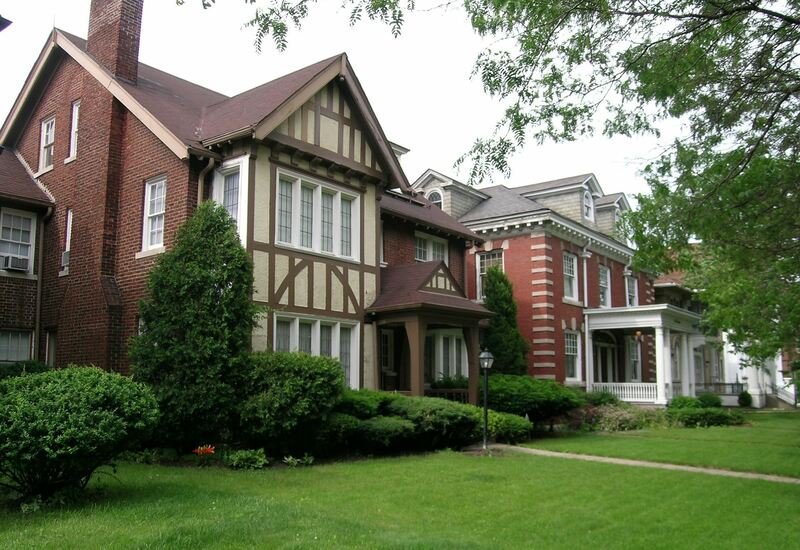 The Boston-Edison Historic District is a multi-racial, multi-ethnic neighborhood conveniently located in the heart of Detroit, filled with neighbors from diverse occupations and professions who share a common appreciation and love of historic homes. Boston-Edison is one of the addresses in metropolitan Detroit that is instantly recognized. It contains over 900 homes, most constructed between 1905 and 1925. Homes range in size from modest two-story vernaculars to impressive mansions. 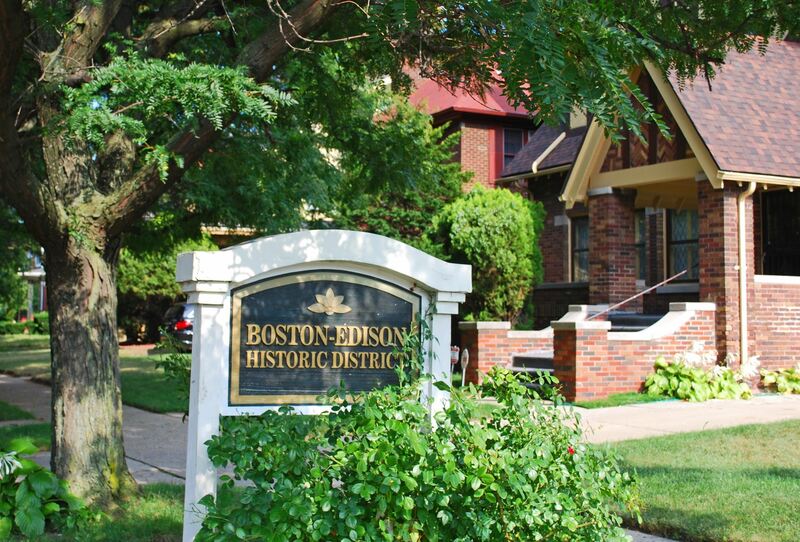 Past residents of Boston-Edison included Henry Ford, James Couzens, Horace Rackham, Sebastian Kresge, Joe Louis, and Berry Gordy Jr.
Boston-Edison boasts the Historic Boston-Edison Association, the oldest continuous neighborhood association in the City, founded in 1921. The historic homes of Boston-Edison are spacious and elegant. Some are mansions, and many are large, while some are moderate in size. Each house is unique. The neighborhood contains a number of historic architectural styles. Many of the houses are eclectic, combining elements of various styles. Houses are constructed of genuine natural materials, many of which are not available today or are too expensive to use in new construction. Beautiful detailing is found inside and out. Unlike new houses, historic houses show the mark of man. Architects designed each home individually. Skillful craftsmen built them by hand. Generations of families have lived their lives in these houses, leaving their loving influence on the homes and the neighborhood. Future generations will live their lives here and will love these houses just as much as their predecessors. Everyone who has lived and will live in these houses are part of their histories--not just as houses, but as homes. In 2005 Boston-Edison celebrated the centennial of the first homes occupied in its boundaries and all of the people who lived here in the first 100 years. In 2105 the bicentennial will celebrate the lives of those who live here during the next 100 years. The Boston-Edison Historic District is at the geographic heart of Detroit. 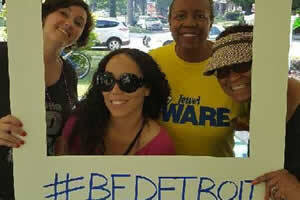 The location is conveniently close to much of what Detroit has to offer. 5 minutes away: The New Center, including the Fisher Building, the Fisher Theater, Henry Ford Hospital, State of Michigan Cadillac Place, and the Motown Museum. 5-10 minutes away: All of Midtown, including Wayne State University, the Detroit Medical Center, the Detroit Institute of Arts, Detroit Historical Museum, Detroit Public Library, Museum of African-American History, and the Science Center; as well as Palmer Park, Hamtramck, and Highland Park. 10 minutes away: All of Downtown Detroit, including the Renaissance Center, Comerica Park, Ford Field, Little Caesars Arena, Fox Theater, Michigan Opera Theater, Greektown, Hart Plaza and the Riverfront, and the tunnel and bridge to Canada; as well as Mexicantown, Eastern Market, the Dequindre Cut, Belle Isle, the Avenue of Fashion, Ferndale, Royal Oak, and other near suburbs. All major freeways are nearby, putting Boston Edison minutes away from most of the rest of the metropolitan area. Boston-Edison is a diverse community that works. The residents are middle class families and individuals with a wide range of interests, talents, and backgrounds. They are people of all ages, races, occupations, and professions who share in common an appreciation and love of historic homes. They enjoy an active fellowship working together and interacting in the various neighborhood activities. There is a wide network of friendships among residents, and there's always a place for new people who want a welcoming and friendly community. We hope you, too will want to live in Boston-Edison. If your dream is to own an historic home, whether to live in or to renovate, this is an opportune time. Boston-Edison has been named an Enterprise Zone, and new owners may be eligible for a substantial property tax credit. Houses are available in all areas of the historic district, in all sizes and styles, and in a wide range of prices. Some houses are in move-in condition. Others need owners committed to renovating them and bringing them up to their potential. Take a look at homes for sale in Boston-Edison right now! Still not convinced? Let us tell you more. If you're considering a move to Boston-Edison, educate yourself about zoning and taxes.